As freelancers and entrepreneurs, we’ve all heard the standard self-care tips of taking a break, eating well, exercising yadda yadda. But there are a lot of things that many people don’t talk much about that you can do in your personal life as well as your business to help prioritize your health and well-being. 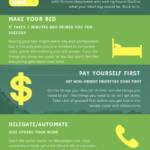 I’d like to run you through a few little-known self-care tips that you might not have considered thus far to help keep you focused on what’s really important in your business. You. Not sure how your self-care is coming along. I’ve adapted a Self-care assessment specifically for freelancers and you can download it for free by clicking the button below! The self-care assessment worksheet comes in PDF form so you can download, fill it out and have a good overview to exactly how your self-care stands up. Each section has questions asking you to rate how you feel right now about each of the topics discussed. Get your FREE assessment today! Now, onto the self-care tips you came here to see! So, let’s break it down, how do you spend a normal week? All together that’s 113 hours of things you basically “must” do like work and surviving. What’re you doing with the other 55 hours outside of the norm? TV, Netflix, Social Media? If you don’t really know, then it’s time to find out. If you go to a nutritionist what’s the first thing they’ll tell you? Keep a food log. If you go to a personal trainer what will they pull out? A workout log. Financial planner? A payment log. For these people to do their jobs, they have to know where you are right now to identify the areas of improvement. If you’ve never done a time log then I highly, highly recommend it. I’ve created a week-long time log that you can download for free by clicking below. Notifications were invented for one thing and one thing only, to distract you. I know it feels great that someone commented on your LinkedIn post or shared your newest Pinterest recipe. But, do you really have to know the second it happens? Waiting a few hours until you take a break or a little time to yourself will not change the fact that someone has interacted with your post. Personally, when I used to get notifications, I would look at every single one, no matter what I was doing. It breaks your rhythm, concentration and it’s been shown to lower productivity and effectiveness. Not being productive and looming deadlines are a huge stress factor in most freelancer’s lives. Just try to avoid as many distractions as you can. According to a study by Deloitte if you’re like most people you’re checking your phone on average, 47 times per day. But let’s be honest, we freelancers like our technology more than that! Now, obviously, the numbers are different for different generations but even you’re reaching half those numbers, that’s still 15 hours of social media a week. How can you have any focused work time if you check your phone, on average, about 10 times an hour? Do you know why people are indecisive, make poor decisions, and waste time? It’s because they lack a vision or a goal. If you don’t know where you’re headed, then every small decision has to be weighed and considered. That takes a lot of willpower and concentration that most freelancers can’t afford to part from. Creating a mission/vision statement for your company puts up filters that easily allows you to decide if something will help you fulfil those statements or not. If it will help you and you can fit it into your schedule, do it. If it doesn’t, don’t. Easy as that. You need to have a direction and an endgame, or you’ll end up saying yes to every little project, poor paying offers and nightmare clients out there. Set your boundaries and stick to them. This is a very common statement with creating a financial plan because if you don’t automatically transfer money out of your account right after getting paid it’s very unlikely that there won’t be any left at the end of the month. When you pay yourself first, it doesn’t “hurt” as much, and you’re setting yourself up for future success. Now as a self-care tips go, it’s fairly similar but paying yourself first in this regard means doing non-urgent priorities before you do anything else. What are non-urgent priorities? Those would be things like exercising, preparing a weekly food menu, meditating, journaling and doing the things that make you happy before you do the time-sensitive things. 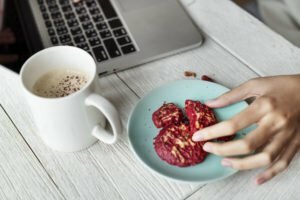 (hint: you may have to overhaul your mornings, but most freelancers don’t have a specific time they need to be at the office, so it’s not that important). If you plan self-care first thing in the morning, you’re much more likely to follow through. Waiting until 6 pm when you get home from work, that glass of wine and the couch will beat out any health goals you had established. Pay yourself first, and you won’t have to worry about saving extra energy at the end of the day or money in your bank account. Both are good tips. When it comes to to-do lists, many freelancers and entrepreneurs are playing a game they can’t win. Our lists have 150 items that seem to just get longer throughout the day. We go to bed defeated because we think “we didn’t do much” and wake up overwhelmed because “we have so much to do”. There isn’t enough time in the day to get everything done on that list. So how do we make this freelance game winnable? Change it. I’ve borrowed a few self-care tips from Michael Hyatt, but I must say, his Big 3 has actually changed my life. In essence, the Big 3 are the three tasks that you need to get done today to make your day a success. 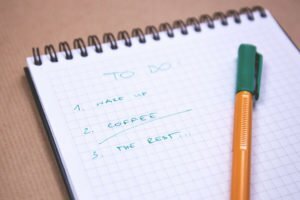 I like this strategy for many different reasons but unlike a few of the common self-care tips of “make a to-do-list” and “write things down”, the Big 3 prioritizes exactly what will help you the most today. This builds on the idea that “success is a series of small wins” and it’s oh, so true! I thought that was brilliant! 30 minutes for 30 days is 15 hours of extremely focused work. That’s more than enough to finish a course with 4 or 5 modules. 1 small win for 30 straight days and you can create a product or course that could change your life forever. Deciding the 3 most important tasks that you need to do that day not only gives you clarity and direction in what you need to accomplish, it also sets the tone for your day. If you know by 6 am that you need to write a blog post, your mind will automatically switch into writing mode. Somedays for me are translation days, so I prepare myself by getting into that mindset. 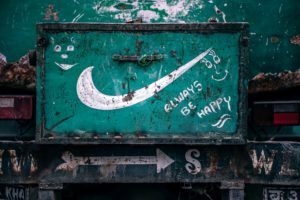 It makes your day much more manageable, and it gives you a light at the end of the tunnel which will increase motivation, focus and decrease distractions. 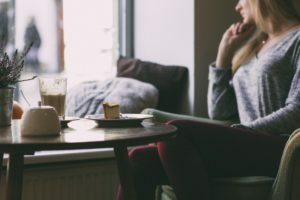 If you’ve been freelancing for a while you probably have a normal daily routine already, and that’s one of the best self-care tips you can do, but you may not have let everyone else in your life know. Setting boundaries on your time is one of the most effective things you can do as someone who works from home. Say for example you work from 10AM-12PM on your biggest task of the day. Phone off, door closed, social media blocked (check out the anti-social app) and get to work. Can you imagine how much you could get done with zero distractions? You need to be very firm with these time blocks. Although you’re working from home, you’re still at work. No being bothered by the kids, your spouse, the dog, the mailman, nothing. 98% of things can wait an hour or two without the world catching on fire. 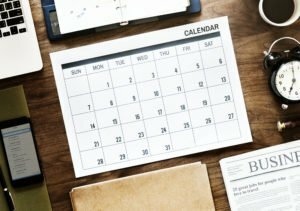 Block out your timeslots and make sure everyone in your life knows that during those times you can’t be contacted (besides emergencies of course). I can hear you now, “really? A list of self-care tips with making my bed? Great advice buddy…” Now just give me a second. There are certain habits out there like exercising, daily goal setting, family dinners, keeping a food log, and yes, making your bed, which have been linked to improvements in completely unrelated areas. It follows the idea that “success begets success” and there’s hard data to prove it. 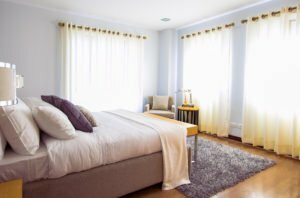 One Psychology Today articles states, “Bed makers are also more likely to like their jobs, own a home, exercise regularly, and feel well rested.” This is the idea that every time you make your bed you’re training your willpower and each day, it gets a little stronger and a little stronger. After this routine becomes a habit, you no longer need any willpower. One small win like making your bed every morning makes going to the gym, waking up without hitting the snooze button, eating better, and being more productive not seem so hard. Let me tell you a little story, I’ve been living in Spain for almost 6 years now, and as of about a year ago, I was subscribed to over 20 newsletters from US-based retailers that I hadn’t used or read in over 5 years. I got daily emails from Target, Best Buy, Walmart, Amazon.com and a lot more. Every day I would go into my email, and I would have to delete them manually. Every. Single. Day. Why was I doing that to myself? Laziness probably. 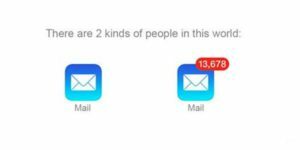 It may not seem like much to delete a few emails each day, but there’s a theory called Decision Fatigue. It’s based on the idea that the more decisions you make throughout the day, the more difficult each decision becomes and so you start making worse choices as the day goes on. So now back to my long list of subscriptions. I was wasting my precious decision-making muscle on whether I should read or delete emails from things I hadn’t used in over 5 years. That’s insane. Habits are strange creatures, and they’re so ingrained in who we are that we don’t even know we’re doing them. They’re made up of three things. 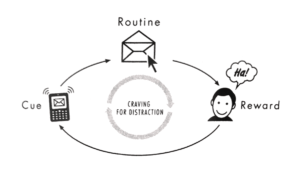 I let this graphic from the book, The Power of Habit, by Charles Duhigg explain it. As you can see, there are 4 main parts. The first is the cue. The cue can be anything from a time of day, location, feeling, other people and really almost anything. Then you have your routine, which is the habit itself like the snooze button, social media, a glass of wine, etc. Lastly the reward. There needs to be a craving for that reward as well when you experience the cue. Cue, craving, routine, reward. That’s it. I’m sure some of you have a few bad habits that you’d like to change so here’s how it’s done. Taking a look at that photo by Duhigg you can see that the cue, craving and reward all stay the same. What you need to change consciously is the routine. 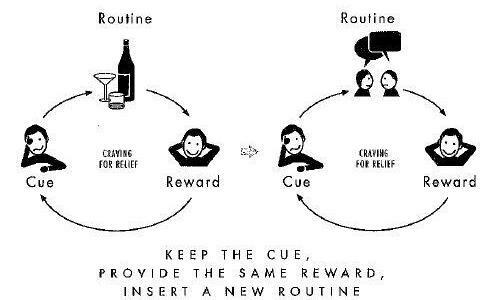 In this example, the cue is getting home at 6:30, the routine is having a glass of wine, and the reward is relaxing. You’ll need to find a routine that gives you a similar reward. This habit change goes from having a glass of wine to chatting with your partner. Both, hopefully, should allow you to relax (the reward). Over time you’ll start to identify getting home at 6:30 with having a nice chat with your partner instead of opening a bottle of chardonnay. Voila! As freelancers there’s a lot of pressure to ‘do it all’, but that doesn’t need to be the case. You may have heard of getting yourself a virtual assistant, and I highly recommend it, but that’s not really what #10 is about. I know for some this may not be possible, but if you can afford it, I would 100% recommend getting someone to clean your house. Let me explain. I’ve had that feeling that since I’m “at home anyways” I should do the dishes, walk the dog, buy the groceries, cook, clean and really everything that involves housework. I don’t know about you, but I hate housework! 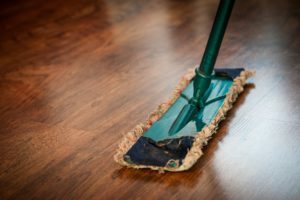 For me, if there’s anything that is the opposite of these self-care tips, it’s housework. I don’t want to spend 3 hours of my precious weekend cleaning the house. That’s not restful and it actually just stresses me out. The $100 or so every two weeks is something I haven’t thought twice about, and I’ll never regret it. Delegate as much as you can to others, so you have the time to focus on what’s important. I want my weekends to be with friends and loved ones, not elbow deep in the toilet. What do you make per hour? For me, the answer was crystal clear. Another great automation tool I just found was MeetEdgar. You create social media posts once and MeetEdgar will constantly send them out. 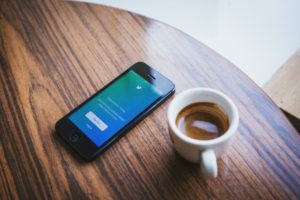 For those of us who aren’t very into social media and posting every day, this could be a lifesaver! I’ve just recently signed up and my website traffic has doubled! Multitasking is “merely the opportunity to screw up more than one thing at a time”, as Steve Uzzel says in his book, The ONE Thing. It has been shown by Basex, an information-tech research firm, found that interruptions consume an average of 2.1 hours per day or 28% of the workday. That means no eating at your desk! The numbers are probably a bit different than for freelancers but maybe not that different if you think about it. Office workers have to deal with their bosses, co-workers, emails, phone calls and everything else that comes with working a 9-5. As freelancers though, we have to deal with a lot more distractions that they haven’t thought of. At home, you have your couch 50 feet away, Netflix is just a few clicks away, your kitchen on the other side of the wall, the dog needs to go out, maybe I should fold some laundry, I haven’t dusted for a while, how about I just take out the garbage, and on and on and on. If we don’t firmly separate our personal and professional life, they start to blend together, and multitasking becomes a part of our reality. A lot of these self-care tips involve planning, and this one is no different. Setting goals allows you to prioritize decisions. Paying yourself first is planning morning around different self-care tips. Setting aside 10 minutes every Sunday night to plan out your weekly meals will not only save you from reaching for the snack draw but also the decision fatigue when you get to the store. Tell me this, have you ever gotten to the store around 6 pm and you weren’t sure what you were going to get when you went? What’d you end up buying? I’m sure it wasn’t fish and vegetables. If you have or want a calendar, I’d highly recommend the Full Focus Planner by Michael Hyatt, then write down your meals, and you won’t have to make any last minute, and most likely, poor decisions in grocery stores. As I mentioned, almost 3,000 words ago, we’ve all heard the standard self-care tips of taking a break, exercising, eat well, drink water. Don’t get me wrong though! These are incredibly important self-care tips, but I believe these don’t happen overnight, and they need to be planned. I tried to get to the root of self-care by going to the planning phase before you can start to exercise, or take a break. As freelancers, and freelancers who prioritize our health, planning and preparing your time is a must. The first time I did self-care tips #1, a time log I was more than a little embarrassed by how much time I wasted. I actually felt bad, like I was being lazy although I was making more than enough to live a comfortable life. 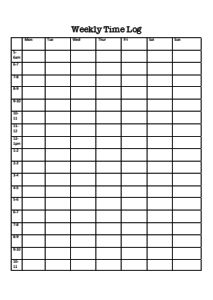 If you’d like to do your own time log, click the button below to grab your free weekly time-log sheet. It comes in a .doc file so print it out, put it on your desk and fill in the slots. Only when you know your starting point can you begin to implement self-care tips to improve it. Lastly, if you’re still not sure of your current self-care situation then the only way to find out is by filling out a self-care assessment worksheet. Get your free assessment sent to your inbox by clicking the button below! Have you considered any of these self-care tips before? Which ones have you tried? I do agree that “paying yourself first” does work wonders. Especially as freelancers, we do tend to get caught up in other people’s priorities, chasing after jobs, running towards finishing on deadline, etc., etc., etc. And then there are the needs of all the loved ones in your life that need to be addressed as well. Taking care of yourself can get lost in the cracks. Starting the day with at least some kind of self-care routine helps set you up for a good day, it seems. Oh…and, for real, fixing the bed (and making sure the place is picked up and the dishes are done before you head out the door) sure makes home-coming a treat! Thanks for the great post. I have tried almost all of your suggestions at one time or another. They do work. Thank you so much for stopping and leaving a comment! You’re absolutely right on everything you touched on. Getting caught up in other’s priorities and putting yourself second can have some really nasty long-term side effects. I must admit I’m not very clean when it comes to housework and it’s just something I don’t enjoy. Picking up might have to be the next challenge I tackle! I had to laugh on the paragraph about making beds, because I rarely ever make my bed, but now I am going to make it a priority from now. It is absolutely true that people who make their beds are more productive and active. I will try anything to become more focused on my writing and research. I learned quite a bit reading your strategies. Thank you for stopping and it definitely makes a difference! That little bit of extra willpower you develop will make everything else seem easier and over time you won’t think twice about tucking your sheets in every morning. Good luck with your writing and I’m glad you found the article useful! thank you for sharing this with us. Some advices are great, and on some, I am also working on doing a better job on both personally and in my business. For me a great self – care strategy is a writing every day a List of Gratitude. Writing list of Gratitude, what I have done that day, makes me feel better, and my Fokus is on stuff which I have done. Because sometimes we are focused on things we haven´t done through a day, and then we are sad, mad at ourselves. I have 3 toddlers, so sometimes my list is very poor. :) Sometimes I have only one thing that I have done that day, but I´m grateful on that also. That’s really a really good idea to finish the day. You’re absolutely right that we focus on the things that we haven’t done instead of the things that we have done. I usually like to look at my to-do list and see the things I’ve accomplished and then choose the three most important things to do for the next day. Hi Andrew! I’ve been making an income from freelancing for nearly two years now. You’re right about the “common advice”. I really appreciate the list you’ve compiled here. I’m really good at considering my diet, mission statement, and things like that. Of all of the things you listed, the thing I have to adjust and rework the most are my meal plans and schedule. I’m constantly reworking these as life and obligations change. Thanks for the reminder on this! I think you might be one of the only freelancers I’ve met who actually had a mission statement before reading the article. It’s just not common for people to think in those sorts of terms when it’s just them and a laptop in their home office. Planning and scheduling has saved me countless hours as I don’t waste time deciding “what’s next”. A freelancing life definitely takes a certain flexibility. I’m glad you found the article useful and thank you for stopping by! I never realized before that we actually spend 113 hours of doing something. 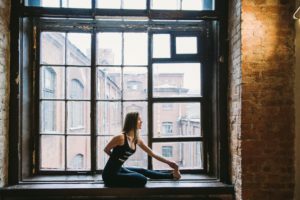 The 12 self-care strategies which you shared, the one that struck the most with me was multitasking.I tend to start one thing, then find myself moving on to the next important thing I should go work on as well. By the time I realize I am taking on too much, I already have way too many browser windows open trying to get things done.Which essentially means I get nothing done. This is the one that I’m going to start implementing today.Making your bed is the other one I can kind of relate to. My older son has started making his bed as soon as he gets up for work at 4 AM in the morning. I asked him why he does this, to which his reply was, “I will be more successful this way”.He is a great believer in self-help and self-improvement, so these words coming from him meant that he was onto something. Now you just validated them.Thanks for the great article. Thank you for stopping by and you’re definitely not alone when it comes to multitasking. Most of us are quite good at starting things but get lost when it becomes a little boring in the middle. Unfortunately we don’t celebrate that part so we lose motivation. Also, getting rid of distraction can make a big difference. Your son sounds like he’s onto something. Must have a great mom! : ) Thank you for your comment! Hey! I did hear that but it’s crazy how true it really is. It defiinitely puts you into a mindset of finishing what you start. Thank you for stopping by and let me know if you have any questions! I like #5 Play a game you can win. When you write a list of way too much you are only contributing to your rising stress levels with all the things that will never get done. You will just end up feeling anxious and depressed thinking that you can never do it all and your whole life is spent trying to do everything. 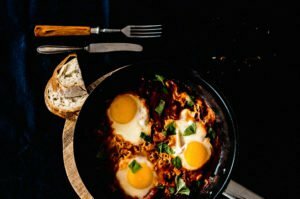 It will just leave you feeling burned out.If you write short lists of the most important things to get done then not only can you get what you need to get done then you will always feel good because you have accomplished your most important goals for the day.Prepping weekly food menus is also a great idea. I came across that tip in a book a read, and it hit very close to home for me. Now I have 3 things I want to get done every day, and the rest are just bonuses. Changing your perspective on things like that really helps you to prioritize and stay focused throughout the day. Thank you for stopping by and if you ever have any questions, please, don’t hesitate to ask. Take care! This is a very good self assessment article especially for those of us who work at home. Sometimes you end up doing a lot of stuff at once which ends up to being not so productive at the end of the day. One more thing that I practice to add to your list is taking a shower first thing in the morning no matter what my schedule is like. It helps me be active all through the day. My question would be, when it comes to our health when is the best time to exercise, is it early in the morning or late in the evening. Would you advise one to make a diet plan especially if you are a stay at home mom. You’re absolutely right that try to do everything and end up doing a whole lot of nothing. I like the shower in the morning but that doesn’t really fit with my schedule. As for working out I’d say, just like most things, take care of yourself first and the rest will come. That means when you’re fresh in the morning and have the most energy is definitely the “best” time to work out. If you wait until later in the day there are always more pressing issues that need to get done. I like to do my morning routine and work for 2 hour or so and then I go to the gym. It give me a great break, I already feel accomplished and I’ll have done a whole lot before 10 AM even rolls around. That feels really good. A diet plan is a must as well. Anything to simplify in the moment decision making is a good idea. Deciding what to eat when you’re hungry usually ends in poor choices. Hope that helps and thank you for stopping by! I am very focused on developing my blog, but some of your strategies look interesting. I don’t use notifications, but having a mission statement and paying myself first looks important. I hate making my bed every day, but I’ll think about it. I like your ideas to set time blocks, unsubscribe from things I’m no longer interested in (really need to do this) and have someone clean my house. I like to have 2 working projects so if I get stuck on something I can work on the other project then come back to the 1st project with fresh eyes and ideas. Is limited multi-tasking like this really so bad? I hated making my bed to at the beginning but once I included it into my morning routine (right before coffee and meditation) it just became something else I did. It really only takes about 1 minute max (unless you fight with the sheets like I do). So, I wouldn’t call what you do multi-tasking. Multi-tasking to me would be if you are talking to someone on chat while trying to write an article. Having two projects going at once is fine as long as they’re not open at the same time and you’re not trying to think about both of them at the same time. Hope that helps! Good luck with your projects! The Free self care assessment work sheet seem very interesting. Very interesting idea you have here. cool. The first point has been the most interesting. Your webpage remind me of another professional webpage called clearer thinking. Very good when I want to clear my mind or keep clarity.I think you could expand a little bit on that exercising is in fact a reward. Being healthy is a reward. I wish more on point 2, why the good is good for us. I’ll have to check our clearer thinking, thank you for the mention! You’re definitely right that exercising is a reward as well as being healthy. Unfortunately for many people that isn’t enough to motivate them as we see obesity rates and sedentary lifestyles on the rise these days. Thank you for stopping by! Take care! In this modern age people don’t really take care of them. So I would say this article is a really helpful one for anyone out there because after reading it through I found that it has so many ways of taking care of ourselves in this fast moving world. Thank you for writing this article and sharing it with us. Thank you for stopping by and I’m glad you found the self-care tips useful. Our world does move much faster than it ever has before and so we need to continuously update our methods. Awesome post. Taking care of yourself and paying yourself. You have covered some great tips I will have to take into consideration. I believe that being organized is key and this will allow consistency and a more successful business. I totally agree that diet rest and adequate water is also important. Very informative. Looking forward to reading more from you. I appreciate you stopping by! There are some basic things that many people take for granted and I just wanted to give everyone a bit of a reminder. Thank you for stopping by and checking out my self-care tips. Let me know if you have any questions! This is a great post! I clicked with it from the very first paragraph! As freelancers it’s so easy to get caught in activities and things to do and we may neglect our wellbeing. This is particularly true for all of us that work from our laptop. I have gone through what you mention, feeling defeated at the end of the day because many of the planned tasks remain undone. But changing the game to a game we can win is really a game-changer. I like that Big 3! I like the “make your bed” recommendation! And “delegate/automate” is something that has put me to think in what I’m spending my time. There are plenty of things that could be delegated! Hey! I’m so glad you found the post useful and it was made exactly for you! I’m still a freelancer and, like you mentioned, tended to put my health and well being on the back burner. After researching and learning about well-care I’ve totally overhauled my schedule and outlook on the things I should be doing. Thank you for stopping by and please, let me know if you have any questions!